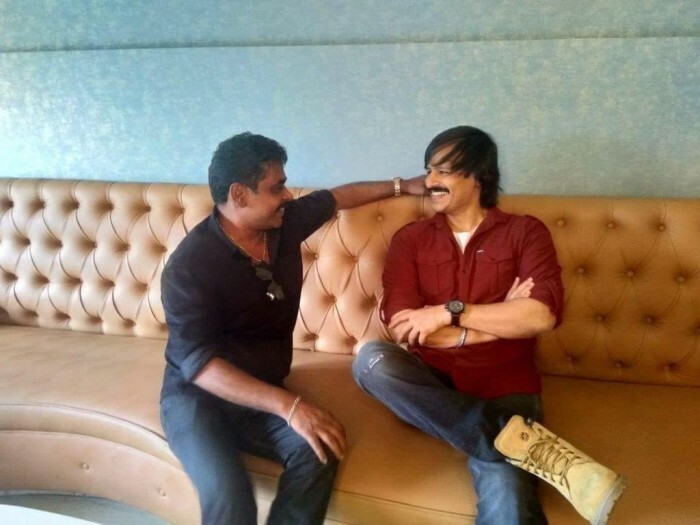 Bollywood actor Vivek Oberoi is all set for his Malayalam debut in Mohanlal starrer. Actor Prithviraj Sukumaran is all set for his debut as a director with a film titled Lucifer which will star The Complete Actor Mohanlal in the lead role. The shooting of the film went on floors in Hyderabad recently and now there’s a new addition to the star cast. Bollywood actor Vivek Oberoi has been roped in to play the antagonist in the Mohanlal starrer ‘Lucifer’. The actor is all set for his Malayalam debut in Mohanlal starrer. 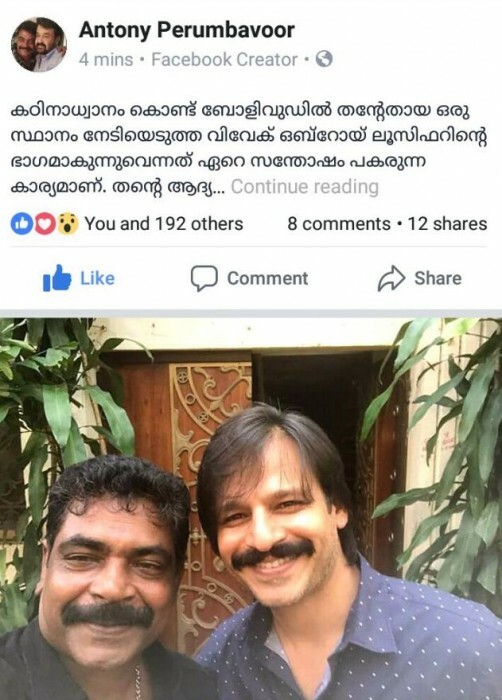 Antony Perumbavoor announced Vivek Oberoi’s casting on social media earlier today. The two actors previously worked together in the Bollywood film Company, directed by Ram Gopal Varma. Recently, the makers of Lucifer unveiled the first poster look on social media. 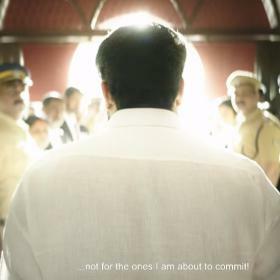 The teaser poster sees a man sitting on the chair in a white mundu with a tagline that reads, ‘Blood. Brotherhood. Betrayal.’ The first poster is quite intriguing and it only makes the wait harder for the film. Besides Lucifer, Prithviraj Sukumaran is also busy with his debut production venture titled 9 which is being co-produced along with Sony India Pictures, their first in Malayalam. The actor will also be seen playing the lead role in Anjali Menon’s rom-com also starring Nazriya Nazim and Parvathy in other lead roles. 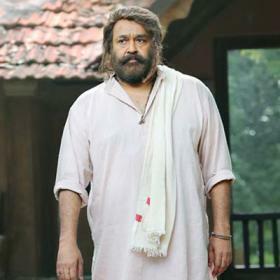 On the other hand, Mohanlal has an interesting line-up of films like Odiyan, Kayamkulam Kochunni, and Neerali. 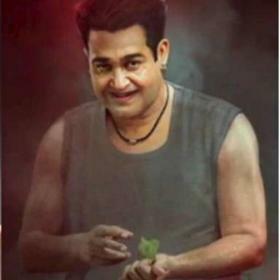 Odiyan will have Mohanlal sport multiple looks ranging from a 25-year-old to a 60-year-old while Kayamkulam Kochunni will have Mohanlal playing a period character. 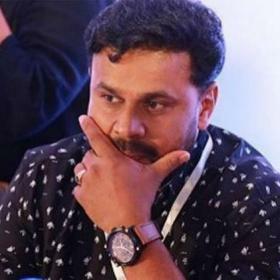 Neerali is a new-age film and is being directed by Ajoy Varma which was launched recently. And guess what Mohanlal will also croon a romantic single in the film alongside Shreya Ghoshal which will be composed by Stephen Devassy. 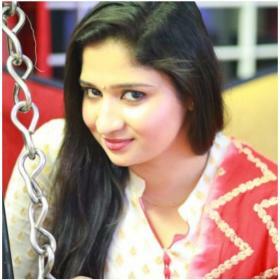 The Complete Actor is also busy with the shoot of reality show Bigg Boss Malayalam.